On June 21 the Rada adopted in full President's draft law that is establishing the High Anticorruption Court. 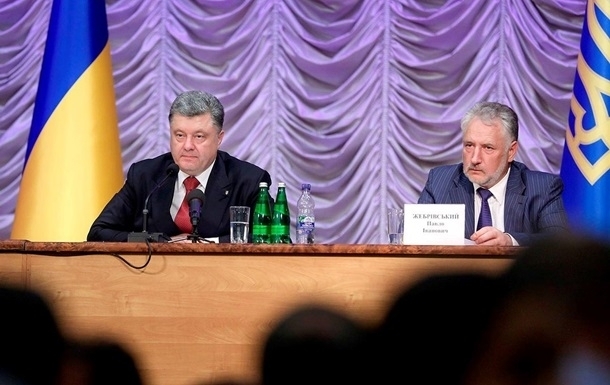 As a reminder, anticorruption court law, signed by President Poroshenko on June 11, defined a procedure for creating the court, but a separate law, agreed with the High Council of Justice, was needed for an actual establishment. However, another issue - the appellate procedure in the cases submitted to ordinary courts before the HACC establishment, yet to be fixed. According to Rada Speaker Andriy Parubiy, in order to change this provision several consultations will be conducted during which optimal voting procedure to be determined. 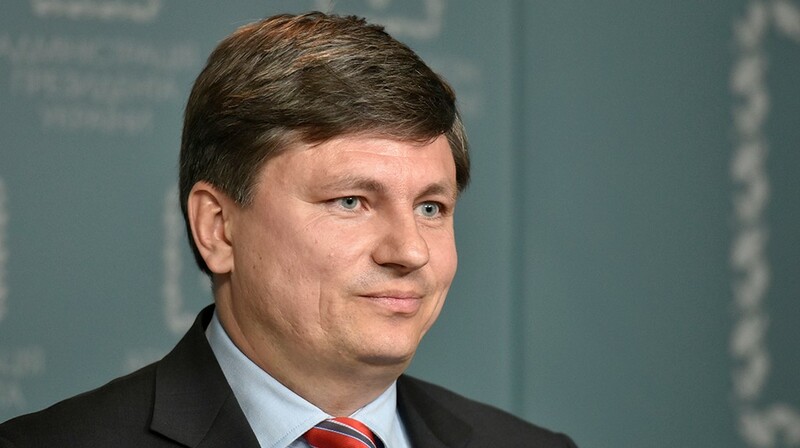 In the meantime, head of Poroshenko's bloc in the Rada Artur Herasymov accused... the activists of changing the appellate procedure clause in the law on the HACC. 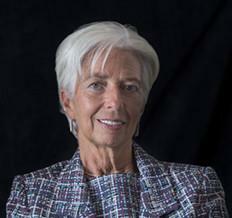 The IMF calls on the Parliament to quickly approve "the necessary amendments to restore the requirement that the HACC will adjudicate all cases under its jurisdiction, including all appeals of relevant first instance court decisions, as it was in the draft law approved in the first reading." Full text. NABU statement: Sentences in the NABU cases made by the courts of general jurisdiction should be appealed to the Appeals Chamber of the High Anti-Corruption Court. 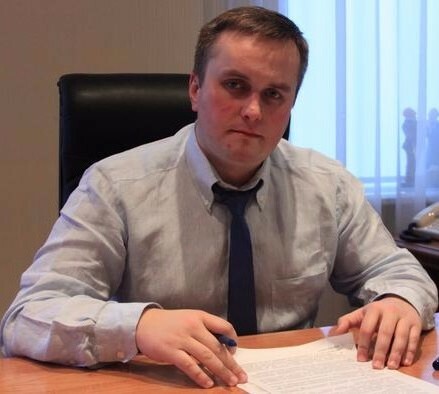 Pavlo Zhebrivskyi was appointed to the post of the NABU auditor under the President’s quota with the violation of the law. Article 26 of the Law of Ukraine “On National Anticorruption Bureau” clearly stipulates that the NABU auditor must have work experience in law enforcement or judicial institutions abroad, or in international organizations. According to his official biography, he has no such work experience. In case if his experience abroad or in the international organizations has no documentary proof, we intend to file a class action lawsuit on behalf of the anticorruption NGOs. More details. Reminder: the negative conclusion of the audit is a legal ground for dismissal of NABU director. Almost 3 months after facing accusations of corruption, Chief Anticorruption Prosecutor Nazar Kholodnytsky is still on the job, digging in and fighting back. A source at the NABU said Kholodnytsky is now obstructing the NABU’s activities even more than ever. Full text. We think that after all disclosed violations Kholodnytskyi cannot hold the post of SAPO Head, should be dismissed and brought to liability. 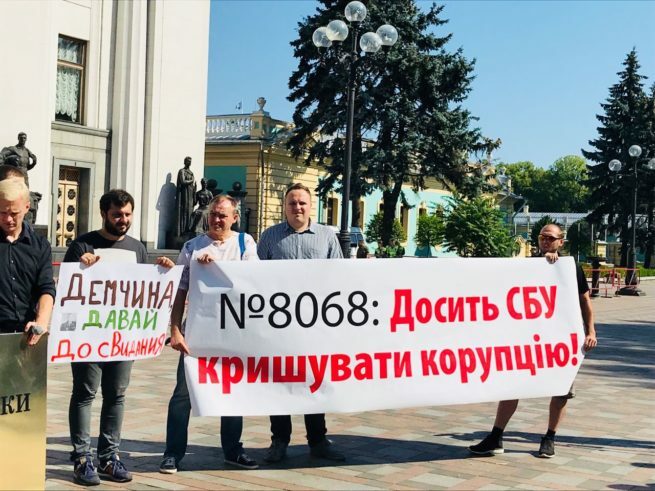 On June 20, the activists installed a golden three-metre “SBU” ID card in front of the parliament building. 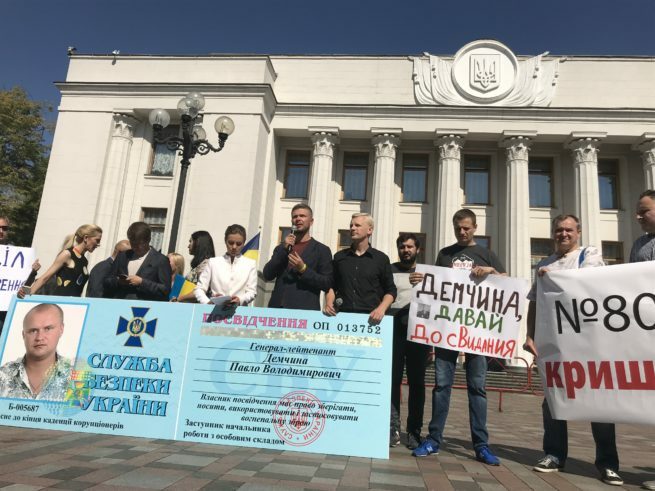 They demanded that the MPs vote for Hanna Hopko's amendments to the draft law No. 8068 “On National Security of Ukraine” envisaging stripping the SBU of the functions in the field of economy and fighting against corruption, which are uncharacteristic to the special service. More details. However, on June 21 the Parliament failed to pass these amendments - only 120 MPs supported them, meaning the long overdue SBU reform is once again postponed. Background information on the SBU reform.